M75 Super Badass Distortion, Distortion from MXR. 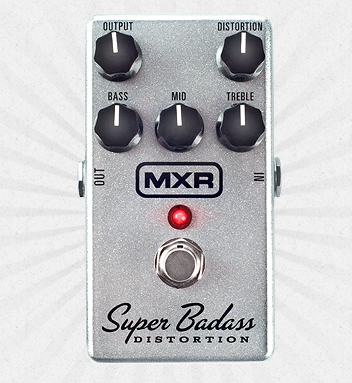 The MXR Custom Badass team has created a new edition of its famous distortion pedal, the Super Badass Distortion. The Super Badass Distortion received a new 100% analogue circuit and a three-band equalizer designed specifically for the pedal. 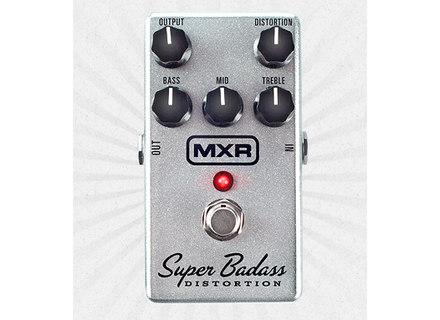 This new edition is describes as more versatile, MXR announces that it can go from the early 70's overdrive to the most recent metal distortion. Output level and distortion rate knobs are also included, as well as a true bypass footswitch. Discover the Super Badass Distortion at www.jimdunlop.com. Gibson recreates the 1952 ES-295 guitar Gibson Memphis announces the availability of a new 1952 edition for the ES-295 hollow-body guitar which reproduces the original model. 4 new Satin finishes for the Fender Standard Fender announces the availability of four new satin finishes for its Standard Stratocaster and Telecaster Series.